ISBA stewards conservatively-managed accounts containing funds for several specific purposes. Funds are created (and may be merged or discontinued) by acts of the Board of Directors. In addition, ad-hoc funds are frequently created for short-term needs. Donations to maintain and increase theses funds are needed. ISBA is a 501 3(C) non-profit organization and donations are tax-deductible to the fullest extent in the United States. ISBA maintains an endowment fund to support offering the periodic awarding of the DeGroot Prize to the author(s) of an outstanding book on statistical science. The fund was begun by contributions from Morrie DeGroot’s many friends at Carnegie Mellon University, Duke University, George Washington University, Harvard University, Iowa State University, Microsoft Research, National Technical University of Athens, The Ohio State University, the Section on Bayesian Statistical Science of the ASA, University of Connecticut, University of Durham, University Kent, University of Minnesota, University of Sheffield, University of Texas at Austin, University of Warwick, and the Valencia Organizing Committee. ISBA maintains an endowment fund to support offering the periodic awarding of the Lindley Prize for innovative research in Bayesian Statistics that is presented at an ISBA World Meeting and accepted for publication in a special issue of Bayesian Analysis. The fund was initiated by donations from Dennis Lindley’s many friends at Carnegie Mellon University, Duke University, George Washington University, Harvard University, Iowa State University, Microsoft Research, National Technical University of Athens, The Ohio State University, the Section on Bayesian Statistical Science of the ASA, University College London, University Connecticut, University of Durham, University of Kent, University of Minnesota, University of Sheffield, University of Texas at Austin, University of Warwick, and the Valencia Organizing Committee. ISBA maintains an endowment fund to support offering the periodic awarding of the Mitchell Prize for a Bayesian analysis of an important applied problem. The fund was initiated by donations from Tobey’s many friends and colleagues at the Oak Ridge National Laboratories, Duke University, Peter Rossi, Jerome Sacks, Microsoft Research, the Section on Bayesian Statistical Science of the ASA, University California at Los Angeles, and Donald Ylvisaker. ISBA maintains an endowment fund to support offering the periodic awarding of the Savage Award for outstanding doctoral dissertations in Bayesian statistics. The Savage Award was funded initially from royalties due to the authors and editors of a series of books produced over a number of years under the auspices of the Seminar on Bayesian Inference in Econometrics. ISBA and SBSS joined as co-sponsors of the prize in 1993. ISBA is raising an endowment fund to support a named lecture in honor of lifetime member Susie Bayarri. The Susie Bayarri Lecture is delivered at the ISBA World Meeting by an outstanding young researcher under 35 years of age. In accordance with the ISBA bylaws, an endowment fund of 30,000 USD is required for establishing an ISBA Named Lecture. The fund was started in November 2014 by Susie’s colleagues and friends, Jim Berger’s family, and the Duke Department of Statistical Science. ISBA is raising an endowment fund to support a named lecture in honor of Bruno de Finetti for his fundamental contributions to the foundation of Bayesian statistics. The Bruno de Finetti Lecture is delivered at the ISBA World Meeting by an outstanding scholar who has provided significant contributions to the advancement of Bayesian statistics. In accordance with the ISBA bylaws, an endowment fund of 30,000 USD is required for establishing an ISBA Named Lecture. The fund was started to mark the 30th anniversary of Bruno de Finetti’s death in 2015 by many scholars and generous donations from Italian institutions. ISBA maintains a fund devoted to supporting junior researchers (ISBA members who are graduate students or who received the PhD or equivalent degree within four years) so that they can participate in an ISBA World Meeting. The ISBA Lifetime Members Junior Researcher Award award recognizes lifetime members as significant contributors to, and supporters of, ISBA and their interest in assisting ISBA’s junior members. Funds accrue from a fraction of the membership dues paid by ISBA’s Lifetime Members. Awards are made by the Program Chair of the ISBA World Meeting. ISBA maintains a fund devoted towards defraying some of the expenses of some graduate students/young researchers so that they can participate in an ISBA World Meeting. Funds are not restricted to individuals from developing countries. They are increased through the securing of conference-specific grants from philanthropic or government agencies (past contributors have included NSF, NIH, EuroStat, and others). Pilar Iglesias-Zuazola was a research leader in Latin America in the areas of Bayesian theory and analysis and an outstanding educator. She received her Ph.D. from the Universidade de São Paulo in 1993, a student of Carlos Pereira, and quickly assumed a leadership role in Chilean statistics. She served as President of the Chilean Statistical Society, SOCHE, and headed its Bayesian section; she served as Director of the only Ph.D.-granting Statistics department in Chile, Catholic University; she worked to bring Statistical Science to Chilean high school students through her leadership of the Explora-Conicyt project (using animated cartoons to bring exploratory analysis to life); and she interacted with the international statistical community at the highest levels, bringing fruitful interaction between Latin American statistical scientists and those in Europe, Africa, Asia, and North America. Pilar contributed to the profession through service in ISBA and in the Chilean Statistical Association and was a dedicated mentor of students and young researchers. Pilar was a vital force in ISBA, head of the Chilean chapter of ISBA, and organized the superb 2004 ISBA World Meeting at Vinã del Mar, Chile. But above all she was loved for her warmth and vitality. On the third of March in 2007, Pilar passed away. A fund in memory of Pilar has now been established by ISBA to endow an award in her name, to be given in perpetuity. The Pilar Iglesias Award provides travel grants for one or two graduate students or young researchers from a developing nation so that they can participate in an ISBA World Meeting. The Pontifical Catholic University of Chile, Pilar’s home institution, provided the initial $5,000 to initiate the fund; the goal of raising $20,000 was more than half-way completed by December of 2009. 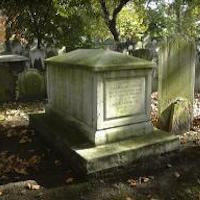 ISBA maintains a small fund, replenished by member donations, devoted towards continuing the upkeep of the tomb of the Reverand Thomas Bayes, namesake of ISBA, into the future. Initial contributions to the fund were from BEST (Bayesian Efficient Strategic Trading) LLC of Hoboken, NJ, after an introduction by ISBA.